Grimm Tidings: El Bigote - La Noches De Los Muertoads! 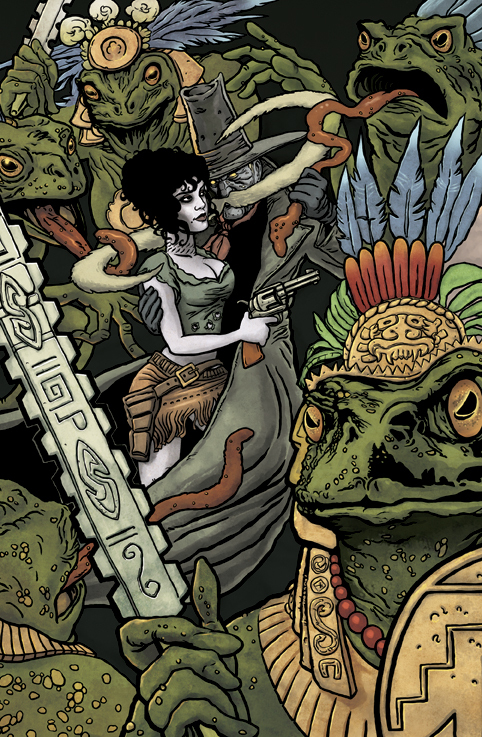 Here it is, the finished cover art for the next El Bigote (mis)adventure through the Mexican afterlife. As mentioned in the previous post, this was pencilled by my hombre El Chivo, and (digitally) inked and coloured by myself. Note to self - don't ink things this complex in PS ever again - takes soooo long! What was I thinking? Nah, seriously though, I chose to do it this way just for the challenge really, and to gain experience in digital inking. Must try to master Manga Studio at some point though - by all accounts it's much better for inking.